Being a stepmom is much more complicated than most people realize (except of course for us stepmoms) and it never seems to end. 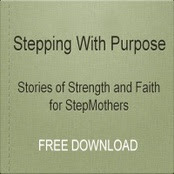 There are times as a stepmom when you may feel like running away due to frustrations that are overwhelming. Some stepmoms feel like a stranger in their own house. Some feel like the atmosphere in the house changes when the stepchildren are there.Some stepmoms have to watch every word they say while the step kids are here knowing it will be repeated to his exwife as soon as the kids return home. I have been there,but I don't deal with some of this at the present because my stepdaughter's mother is deceased and she lives with us fulltime. In saying all of this,we as stepmoms need to take extra care of ourselves.Take yourself out of the stresses of being a stepmom at times and focus on youself. We as stepmoms tend to give so much of ourselves to others that we leave little time for us.Doing this will help decrease resentment over things. Give yourself credit that you are doing a good job.Remember you are human and it's ok to sometimes cry and get mad. Go to the movies and out to eat with girlfriends. Treat yourself to a manicure/pedicure. Get yourself a facial or a massage. Take the time to do something that is a special treat for you.Most important look to God for your strenghth,wisdom and truth. He is there when you are overwhelmed and discouraged. He is THE ONE who will guide you on how to handle difficult circumstances. We all recently went to the beach for a few days(my husband ,stepdaughter, and myself).This was a time of relaxation and what a great view to marvel at what a great God we serve.Continuing the Journey! Wow- beautiful pics!!! So serene.